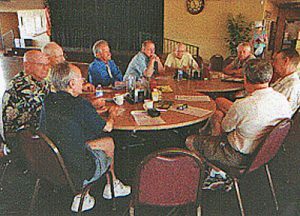 Sun Lakes United Methodist Men’s Ministry, also called the Gent’s Club, meet every Monday at 11:30 a.m. at the Renaissance and enjoy each other’s company. They plan an interesting meeting with a speaker or topic of interest. It is an informal time where they get to connect with other male members of the Church. If you are a United Methodist Man, come and get connected – and bring a friend. Check the calendar for dates and time.